It is said that the food can make a charter experience. In this area, W exceeds expectations. W’s acclaimed professional chef will work within your dietary preferences and personal tastes to customize a menu that makes each meal a delightful experience. W excels in creating unique and delicious menus incorporating paleo, vegan and vegetarian diets and the chef adds local provisions for a colorful twist. 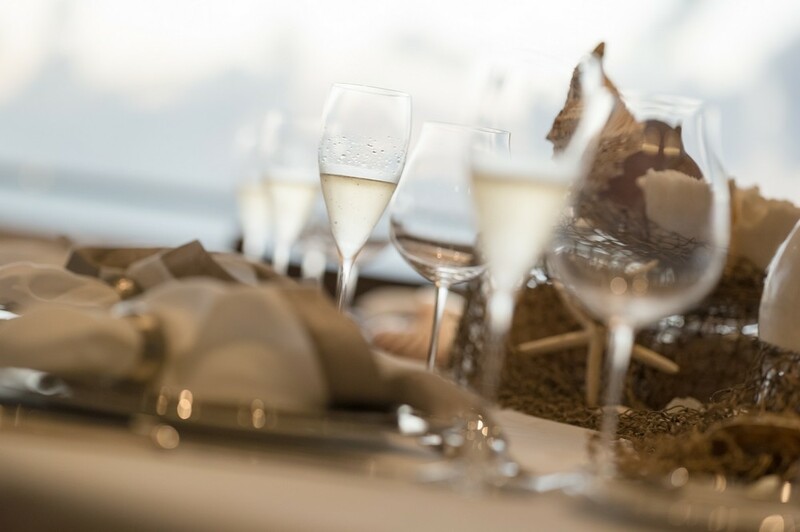 Whether a casual al fesco family style luncheon on the sun deck or a formal gourmet plated meal served in the main dining room, each and every meal is perfectly tailored to suit your tastes. Enjoy a worldwide culinary taste bud exploration of fine cuisine aboard Motor Yacht W.
of food with my guests. fat dishes with presentation flair. I look forward to hosting you onboard!